Coils and coils of lovely 3D printing filament, I'm usually surrounded by them, I struggle with them and often spend time and energy mounting, clamping, switching and feeding them into to various printers. Every single one is different, bare coils or reels, some are even different from the same manufacturer. Just to point out here, this is only a tiny selection of 3D printing filament reels available, these are the ones I happen to still have around me. 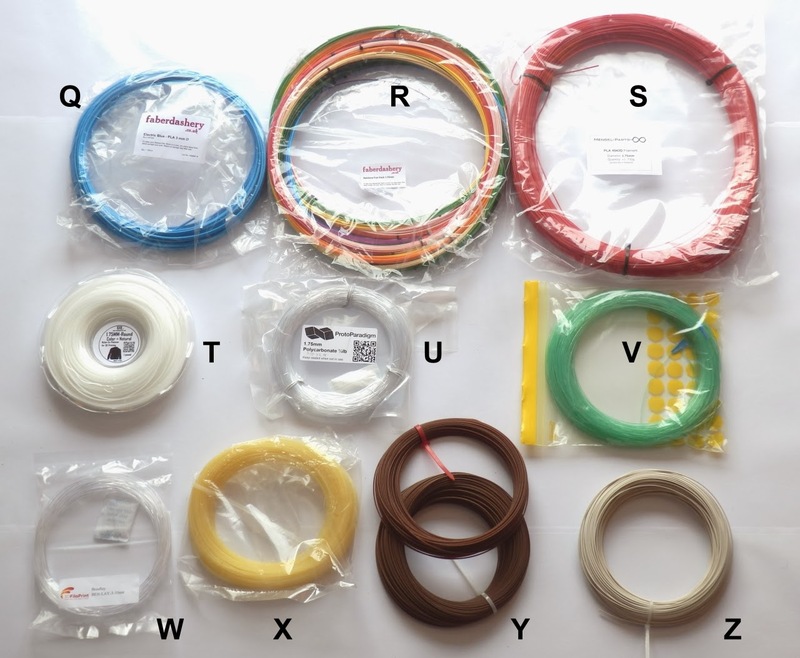 Even the long list on RepRap.org of filament suppliers is a fraction of what's actually available. Loose coils of filament are both great (no wasted spool or extra cost to ship packaging) and also the work of the devil. You usually need to cut a random shorter length of coil off, just so you can use a section of material in a sensible way, or run the risk of getting into a tangled mess of coil and printer. You then risk not having enough material to finish the print, something that seems to happen more often than I would like. Once when trying to use a 750gram loose coil of 1.75mm material (about 300+ meters) I had a tangle so bad the extruder pulled an entire shelf down onto a laptop below, smashing it, bending rods on the printer and also messing up a very nice print. I had mounted a home made spool holder to the shelf above the printer in an attempt to use loose coiled filament. My 20 euro coil of filament cost me over 400 in damages, I didn't do that ever again. After a lot of messing about with making my own 3DPrinted spool holders, printing other peoples, making them by hand and using various mounting systems, I resorted to using a rack as shown above. It looks ugly, the filament gets dusty and problems like tangles still happen. But as I can't find a really good solution for various printers, this is the best I have. The closest thing we have to a 'standard' reel is based around the use of 3mm plastic welding rod/coils for automotive repair industry, these very large coils have been used with 3D printing for many years. They have a lot of benefits, but also plenty of negative aspects. Mostly being heavy and big whilst also using more than 300g of ABS to make each one. One of the reasons I would like to see a spool standard is that I would also like to see less waste from 3D printing, and a way to recycle items like spools and packaging. A few manufacturers like Josef Průša have already looked at cardboard, producing filament already on lightweight recyclable spools. In this case the center mounting hole is rather large. The inner coil diameter is big enough not to cause the filament to be too tightly wound. Dense or corrugated cardboard what would be best? One of the very first filament orders I ever made came on cardboard spools, since then it's all been plastic of one form or another. Makerbot seem to have a new bigger spool? Can anyone confirm details. Polycarbonate / also using spools now. (1) - These large ‘Industry Standard’ 2.2Kg spools were first used in the plastic welding industry, it's the closest thing we have to a standard. 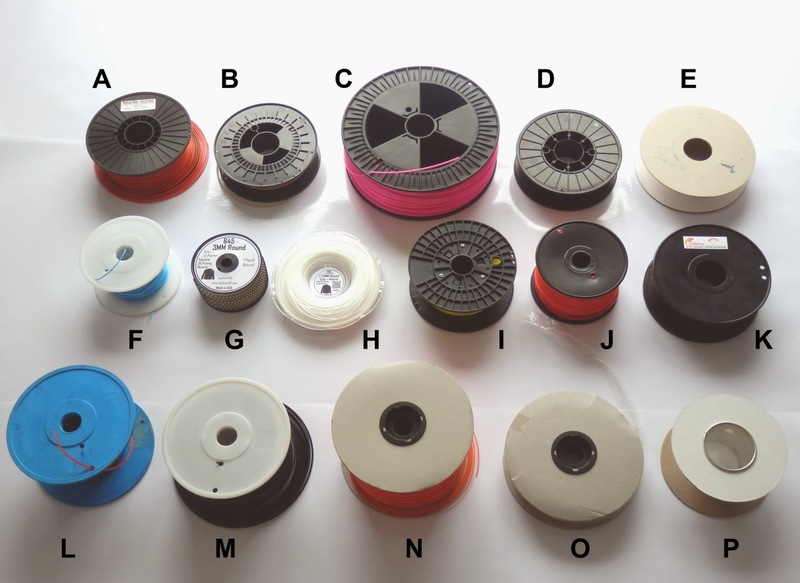 Lots of different spools in lots of sizes - the odd looking one (middle left) is an example (one of many) of a 'home-made' spool to help make loose filament less of a pain to use. Would it be possible for manufacturers to have a set filament standard for spool size, shape and mounting? 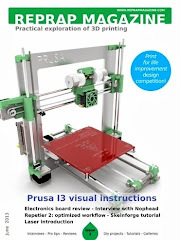 Can the 3D printing community help develop that standard? Can we make it Eco-friendly and recyclable? The inner coil diameter needs to be appropriate for the type of material and size being wound. 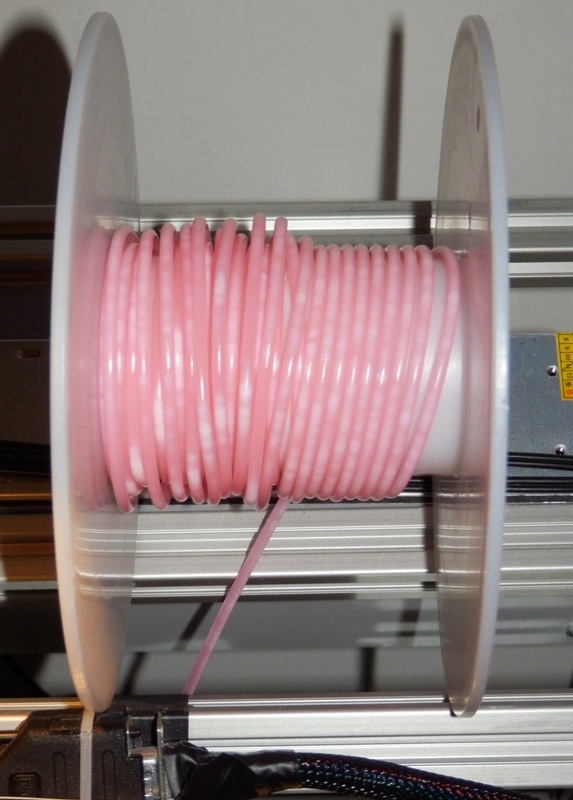 3D Printing filament is not like coils of wire, don't try to cram as much as possible onto a spool. This is 3mm semi-translucent PLA, you can clearly see the bruising of the filament as it's very tightly wound around a 50mm diameter core. The last 1/3 of the spool contents are useless due to being deformed and much too tight to feed into an extruder resulting in really nasty things like lifting the entire Z axis away from the object being printed. This started to fail before the last 1/3 of the spool, due to pull-back and carriage lifting. Lower quality prints are also often observed during the second half of a 3mm spool this tightly wound. 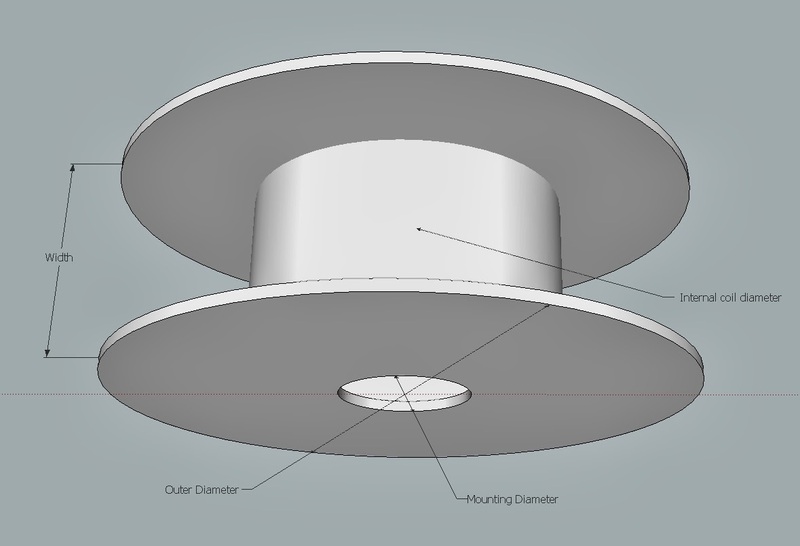 Spool mounting diameter - Some physical resistance is good for spool mounting. 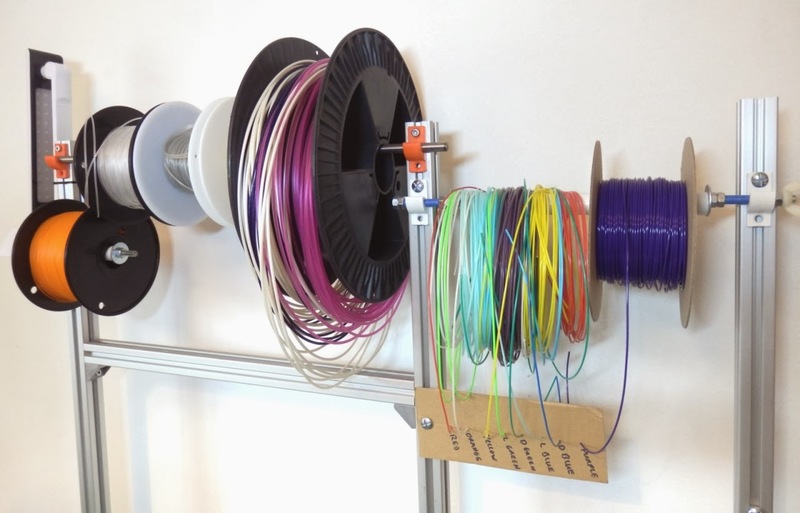 Quite often a printed spool holder is used to mount the reels of filament, many different sizes force users to produce smaller diameter mounting rods in an attempt to be able to mount different types, often resulting in noise and rocking around as the spools unwind. Currently one size does not fit all. Illustration of Inner diameter, Outer diameter and mounting. Width of spool and overall outer dimension is also important, but more in deciding how much filament is required for each spool. 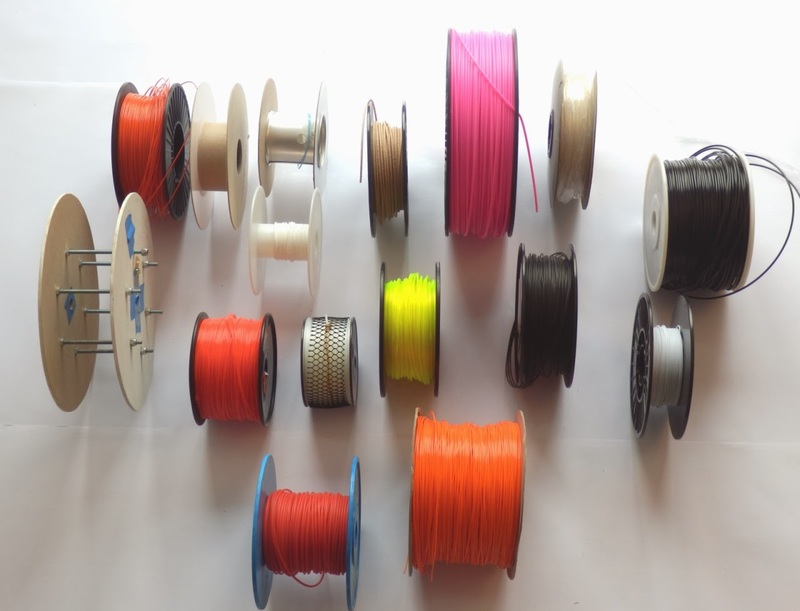 We have seen a trend is supplying less filament per coil over the last few years, We started at 2.3Kg reels used by the Automotive plastic welding industry, then slowly manufacturers moved to a 1Kg reel and many now supply 750g or 500g per single reel. Length of coil is also used by some manufacturers, often 100M of either 1.75mm or 3mm material is a 'standard' length supplied. Many manufacturers are now also offering 50M coils often targeted at retail outlets or as a way to try out new materials and colours. 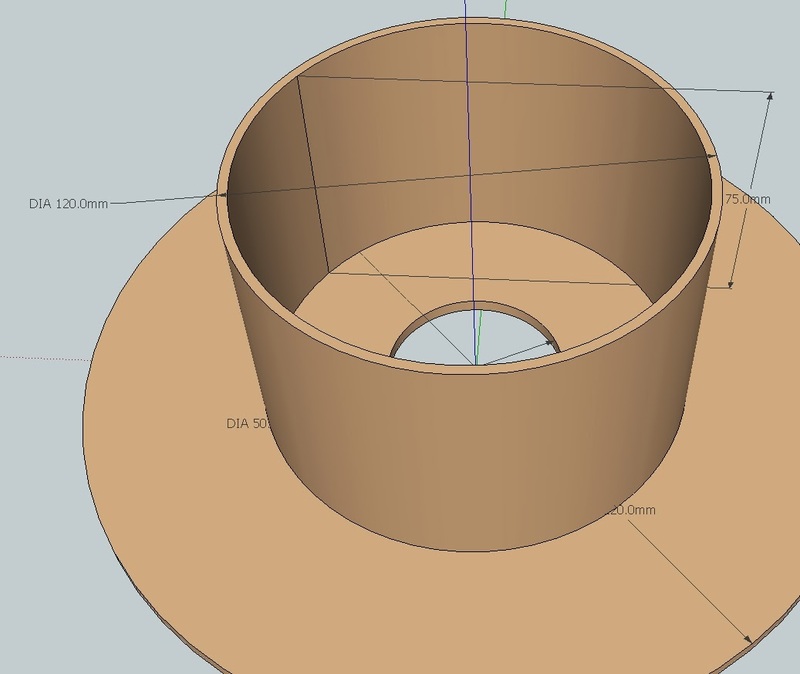 That's all quite a challenge for a standard spool, but if we were flexible on the width and possibly had two outer dimensions it would be possible to make a standard more people could easily use and manufacturers could implement. Just as important is the ability to design them into new and existing 3D printers. Print material - to some degree defines the minimum internal coil size. 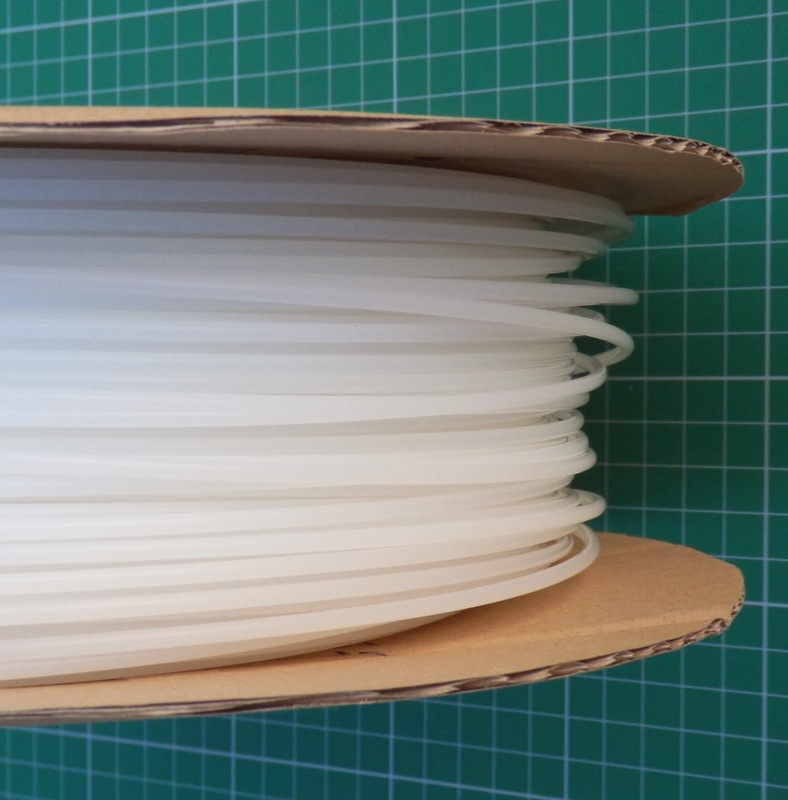 1.75mm material can be wound in a tighter coil and materials like Taulman Nylon or Recreus FilaFlex are both so flexible they can be wound very tightly with minimal impact on the ability to print with them. 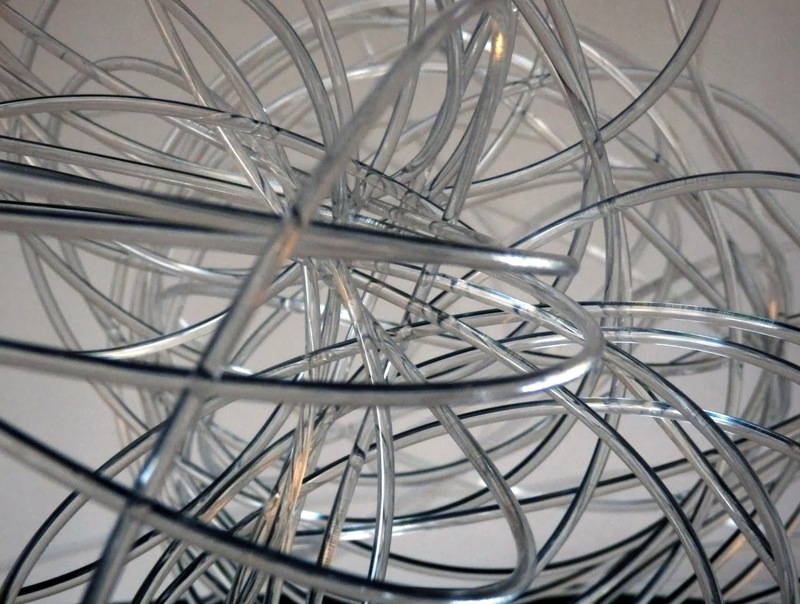 Nylon's, flexible and PET materials also have a tendency to try and unwind from their coils so a bigger inner coil diameter could also help them be less likely to loop and get tangled. Another major factor will be cost of the spool and any packaging. reducing weight is good for shipping costs and making it from materials that can be easily recycled really needs to be a major goal. Plastic spools used today cost under $1 and in reality customers are not likely to pay a great deal more for a standard spool? but how much and can a robust spool made from materials like strong cardboard be viable? 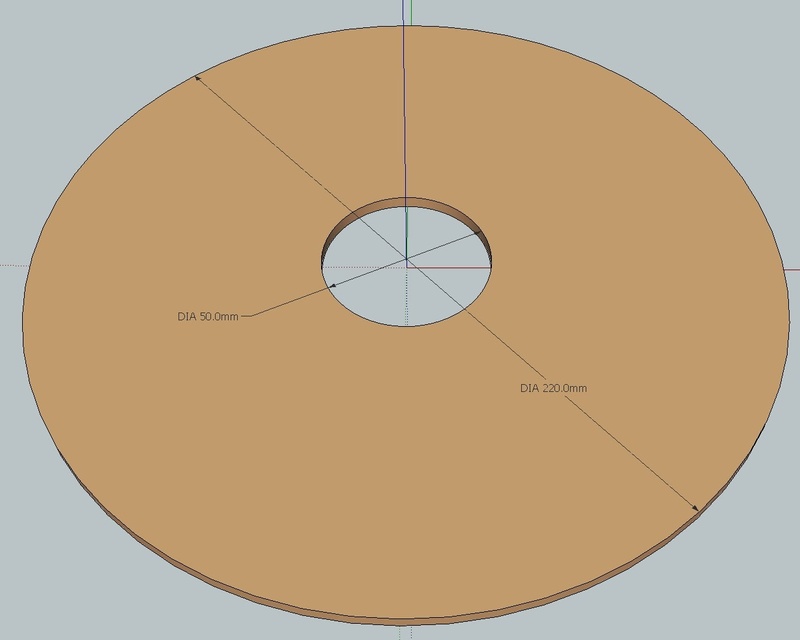 We now have dimensional information above on some of the types of spools and coils available, and to get the ball rolling here are some simple ideas for filament spools I have been thinking about. We can see that many reels already have a 50mm mounting hole diameter, so this looks like a reasonable starting point, Both the Ultimaker and Makerbot Replicator use a 50mm spool mount. The inner inner diameter, bigger is better, but you need to allow enough room for filament without also having a very large outer diameter. A size of around 120mm for the internal seems to work well for most types of plastics and filled materials in both 3mm and 1.75mm sizes. A diameter of 220mm for the outer will allow for a typical quantity of filament depending on the width of the spool, 75mm shown here. 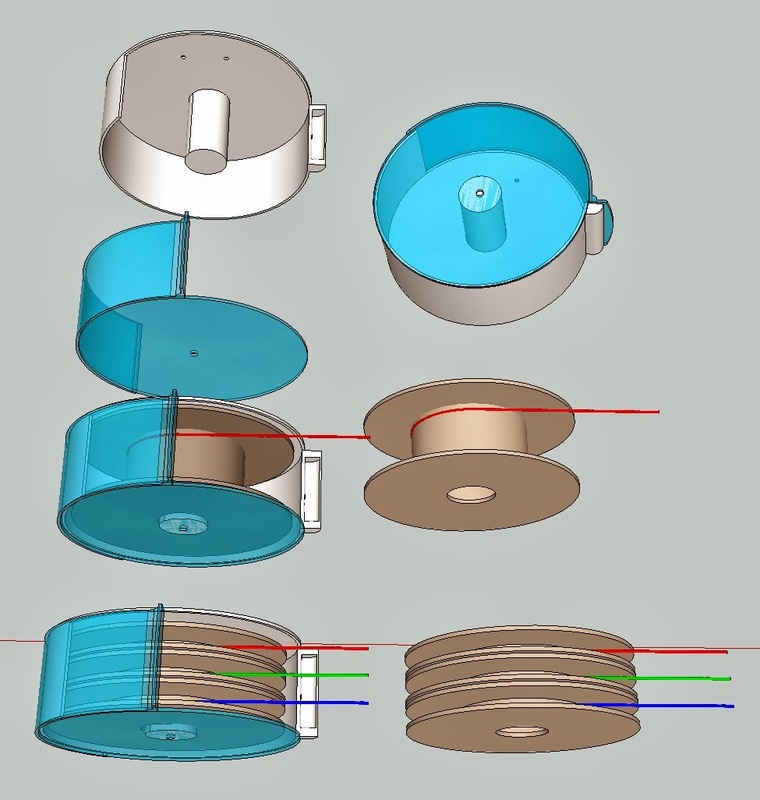 Cardboard spool concept, 1Kg spool or 3 x 250g based on the same specification of mounting hole and overall size. The plastic dust cover/case is an item I would also like to see available (or 3D printed) - make it easy to mount on / in a 3D printer and refill with the recyclable cardboard filament spools. If you want to get involved (and please do), a discussion thread on the RepRap Forum is started here. Start discussions wherever you want, and spread the word, lets make something happen. Ask your filament supplier if they can support the standard, if they say no, ask them why and let people know the reasons. 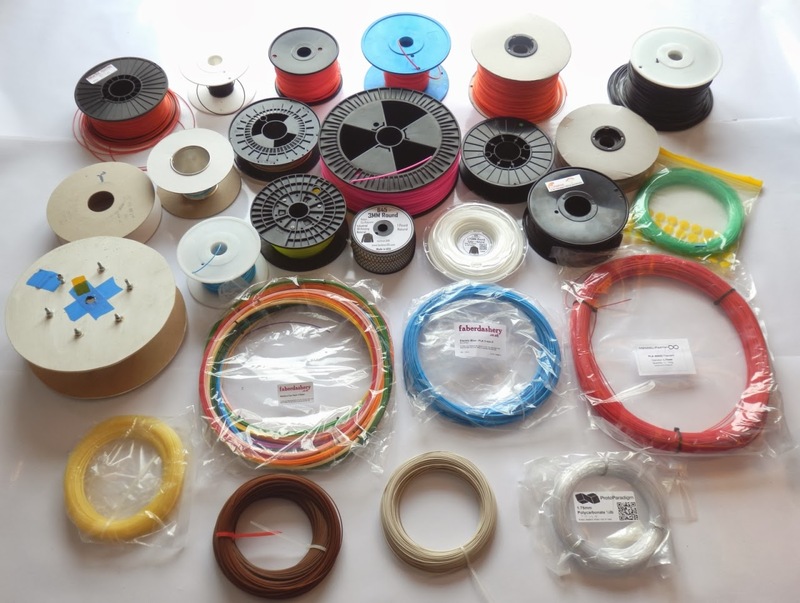 If you manufacture a 3D printer, what do you require from a filament spool? Sketch or design something, say what would work for you and your 3D printer, what's not working now and how you solve it (or not). 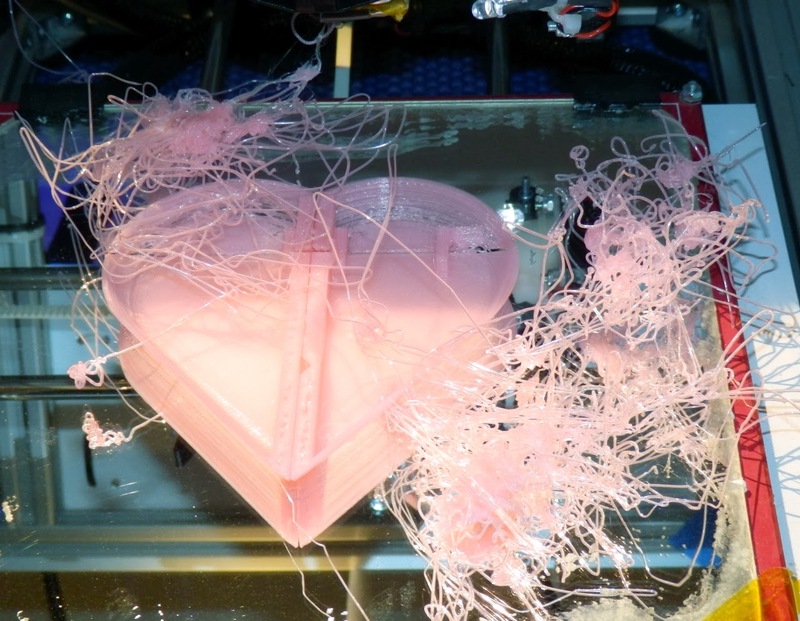 The 3D Printing Association is providing support for this project and also looking for feedback and ideas to help with this campaign, both from filament manufacturers and everyone in the community. 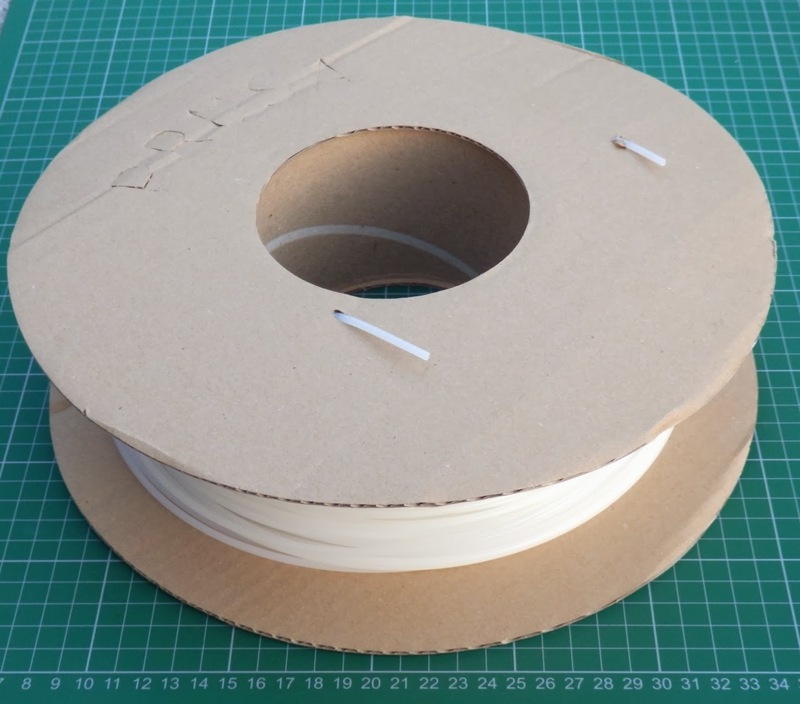 I have contacted a number of manufacturers to suggest the idea of a universal or standard filament spool - designed by feedback from the community, all the responses have been very positive, with many immediately supporting the idea and wanting to help make sure it's viable for them and their customers. Individual manufacturers (both filament and 3D printer) can submit feedback and ideas directly and I hope more will also get involved and see if this can result in something good and useful for all.